KIEV, Ukraine -- Star coach Marcello Lippi is said to have been offered a job at the helm of the Ukrainian national football team to fill an interim position held by Yury Kalitvinsev. Italian media reported Sunday that Grygory Surkis, president of the Ukrainian football federation, has had informal contacts with the 62-year-old trainer to take over the squad as they gear up for Euro 2012. Ukraine and Poland are to co-host the continental tournament and are not required to go through its qualification phase. An official contact could take place this week when Ukraine play a friendly at Switzerland. Lippi left the Italian national team in June at the end of a disastrous performance at the 2010 World Cup where the title-holding Azzurri failed to advance to the knock-out phase. The coach's first stint with the Azzurri from 2004 to 2006 ended with the conquest of Italy's fourth World Cup. 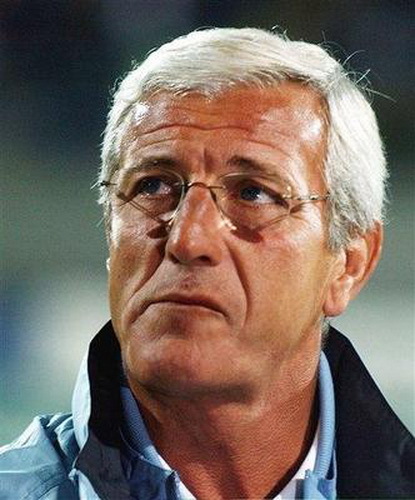 Lippi also won five Serie A titles and one Champions League with Juventus.